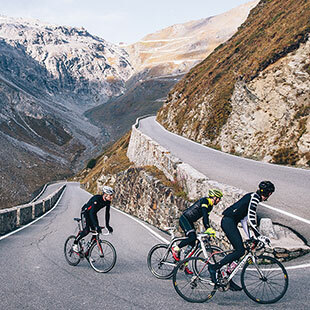 With its 2,652 metres above sea level, the Gavia Pass awaits all cyclists: some climb it in an hour, others in two, still others in five… The Giro d’Italia has passed this way many times, with a number of incredible moments making cycling history worldwide. 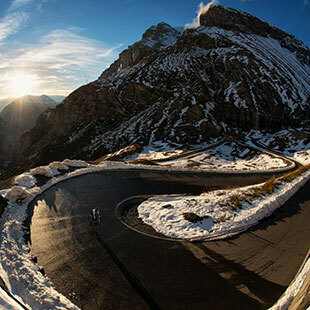 Let’s be honest, Ponte di Legno is one of those places where cyclists who want to climb – that is, the true climb, the tough climb, the one where history, thrills and fatigue come together at each hairpin turn – find what they’re looking for. It’s one of those places that people who don’t understand its essence won’t visit. Because it’s from Ponte di Legno that you can tackle the legendary climbs such as the Tonale and Gavia passes, but also Mortirolo via its “easier” face. 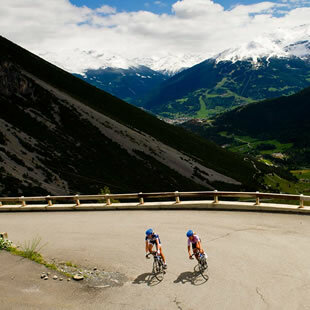 The Gavia Pass is one of those ascents that are challenging from the outset. In fact, during the first series of hairpin turns you reach an altitude of 1,940 metres within just a few kilometres. What you need to know, besides this, is that it will be really difficult to recover from the long stretch on the hillside that ends near the summit.